Fulton, NY (April 11, 2019) – According to dispatchers in Oswego County, a small aircraft crashed in the vicinity of North Fourth Street on Thursday afternoon, April 11th. The accident was reported to have taken place around 3:30 p.m. and resulted in the injuries of at least one person. Fulton police stated that Michael Simpson, 50, had been flying the small plane from Malone, approximately 170 miles north of Fulton, to the Oswego Airport when he crashed for reasons that are currently under investigation. Authorities believe that Simpson may have been attempting to land the plane on the highway but possibly lost power beforehand. Emergency medical crews were immediately dispatched to the crash site, where they transported Simpson to Upstate with injuries that were reported as non-life-threatening at this time. The Federal Aviation Administration is currently in charge of the investigation into this incident. 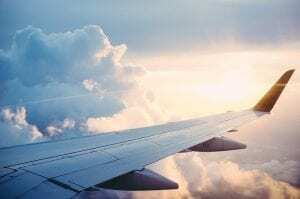 While aviation accidents in New York are generally rare, at least compared to most other personal injury accidents, they are typically among the most tragic devastating. At this time, we would like to extend our sincere sympathies to Michael Simpson as he attempts to recover from his injuries. At Hach & Rose, we understand that it can be terribly difficult to focus on anything other than recuperation at this time. However, it is important to realize that as the victim of an accident that was not your fault, you may have serious rights moving forward. As members of the community, our knowledgeable and experienced accident attorneys are here for you 24/7 to answer any questions you may have. If you have been hurt in an aviation accident due to the negligence of another party or entity such as a manufacturer or employer, please do not hesitate to call 212-779-0057 today.